Subscribe to BestMEDICINE and get a weekly roundup of hand-picked articles delivered to your inbox. Subscribers receive access to our latest Deliciously Different Recipe eBook. 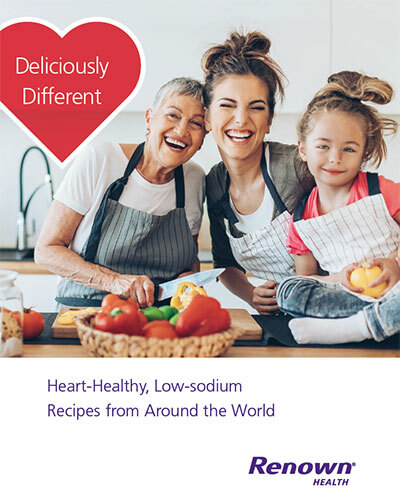 Heart-healthy, low-sodium recipes from around the world. Subscribe above then check your inbox [in a few minutes] for a confirmation email. Please add noreply@renown.org to your address book to ensure our emails don’t land in your spam folder. Check your confirmation email for instructions to access your free eBook. Every week, you will receive our newsletter featuring the latest health and wellness information. Don’t forget to check your inbox!